Orbital Sciences Corporation (NYSE: ORB) today announced that it has been awarded a major contract by the U.S. Air Force to provide space launch and missile defense target vehicles using deactivated Peacekeeper ICBM assets under the Orbital/Suborbital Program-2 (OSP-2). Orbital also made the sole offer for the other half of OSP-2, providing space and target launch vehicles using deactivated Minuteman assets similar to the work that the company is performing for the Air Force under the current OSP-1 contract. Orbital was awarded the OSP-2 Peacekeeper contract by Detachment 12 of the Space and Missile Systems Center, located at Kirtland Air Force Base in Albuquerque, NM. The OSP-2 Minuteman contract will be negotiated as a sole source acquisition. Together, these announcements include potential orders for as many as 41 launch vehicles for a total combined maximum value of $475 million. On January 29, 2003, the Air Force announced the award to Orbital of a 10- year contract, potentially worth about $238 million, to design, manufacture and integrate U.S. government-supplied Peacekeeper rocket motors to develop target vehicles for missile defense testing. Orbital will also combine Peacekeeper rocket motors with commercial launch vehicle technology derived from its Pegasus(R) and Taurus(R) rockets to develop and operate low-cost vehicles to launch U.S. government-funded satellites into low-Earth orbit. 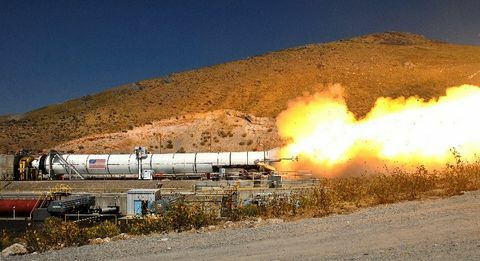 The company was also selected for sole source procurement for the Minuteman portion of the OSP-2 contract, which is also a 10-year contract, with the same potential value of about $238 million, to provide similar services utilizing U.S. government-supplied Minuteman rocket motors. Under the Minuteman portion of the contract, Orbital will continue to provide target and Minotaur space launch services as it has for the past five years under the existing OSP-1 contract. "We are extremely pleased with our selection by the Air Force for the OSP- 2 contract," said Mr. Ron Grabe, Executive Vice President and General Manager of the company's Launch Systems Group. "The Peacekeeper award and the selection for the Minuteman sole source procurement will provide Orbital the opportunity to continue to support the Air Force with the outstanding rocket systems integration and launch services that we delivered under the original OSP-1 contract. Over the past five years, Orbital's commitment to product reliability has been clearly demonstrated with our 100% mission success rate on OSP-1 missions. We intend to continue to provide the same level of technical, schedule and budgetary integrity over the next ten years that we accomplished in the first five years of the program," Mr. Grabe concluded. The OSP-2 contract will build on the initial OSP-1 contract awarded to Orbital in 1997. 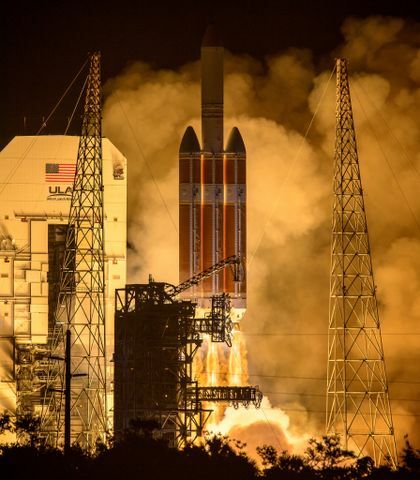 Under the initial five-year OSP-1 contract, which did not include Peacekeeper assets, the Air Force ordered nine long-range target vehicles and five Minotaur space launch vehicles based on decommissioned Minuteman rocket motors, with a current contract value of over $140 million. The Air Force expanded the scope of the OSP-2 contracts to include the Peacekeeper motors in addition to the Minuteman assets. Over the past several years, Orbital has experienced rapid growth in its missile defense-related business, which is primarily centered at the company's Chandler, AZ, facility in the Phoenix area. For over two decades, Orbital has been one of the country's leading providers of target vehicles for missile defense programs. The company has significantly increased its target-related work in the past several years with numerous contract awards from the Air Force, Army and Navy. 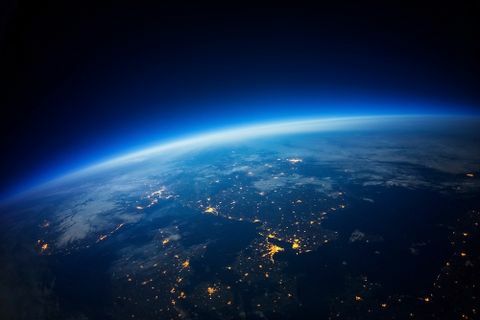 In addition to its target vehicle work, Orbital was selected last year by The Boeing Company for a contract to develop a new interceptor booster for the U. S. Missile Defense Agency's Ground-Based Midcourse Defense System. Copyright (C) 2003 PR Newswire. All rights reserved.